Chattanooga’s first and largest plastic surgery group marked a new milestone by opening a new 10,000 square foot office at the Tennessee River. 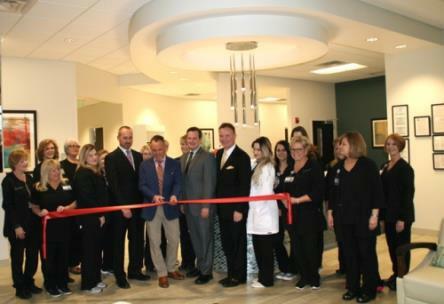 Located in the 901 Building on Riverfront Parkway, the Plastic Surgery Group’s 50-member staff is welcoming patients to their new home. The Group offers patients the option to have cosmetic procedures done in their state-accredited operating suites. In addition, they continue to provide hand therapy in the office as part of the Hayes Hand Center located within the new facility. An aesthetics nurse and cosmetic consultant have a new spa space and complement the wide-array of services offered, said officials. The Plastic Surgery Group is open Monday through Friday from 8:30 a.m. until 5 p.m. Appointments may be made by calling 756-7134. To learn more about the Plastic Surgery Group, visit: www.RefinedLooks.com or find them on Facebook or Instagram: @PlasticSurgeryGroup.